Get the knowledge you need to succeed with these valuable products! Do you have a part-time or full-time online business that isn’t making the money you need? Are you frustrated because you don’t know how to make your online business succeed? Longing for coaching to grow your online business — but can’t afford it? What if you could get ongoing support and guidance? How would you feel if you could leverage my 15 years of experience to help you grow your business? Are these obstacles keeping you from the success you want? Don’t your ideas and abilities deserve more? Read more and join here! 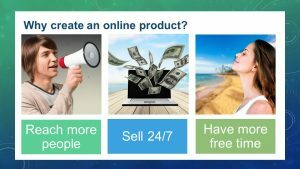 • create a free offer but not tell you how to get traffic to it? 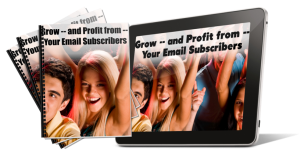 • send out email offers but not tell you how to get subscribers? • get traffic to your offer but not tell you how to turn that traffic into a profitable business? steps to Grow — and Profit from — Your Email Subscribers. Reach more people, build your list & sell more products with webinars… without getting in over your head. 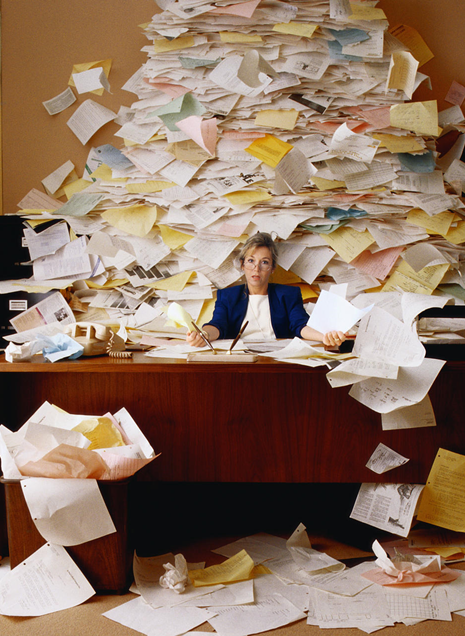 Are you looking for sure-fire ways to reach more people and make more sales? Have you considered (or even tried) offering webinars but the whole scene feels too overwhelming, expensive or fraught with technical snafus? Are you ready to finally have a fun and easy way to attract more perfect clients, sell more of your products and start making some real money? Are you ready to get out there and let the world know what you have to offer? 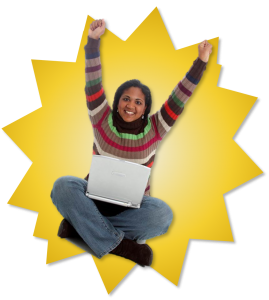 Find out how to Profit with Webinars! without looking like an amateur or spending thousands! Do you feel like your website and social media are like a hungry beast, always needing new images and graphics? Using text without graphics: Research has shown that blogs and sales pages with images attract more interest and convert better than plain text. Paying thousands for a graphic designer: Way too expensive! Your need for graphics is continual. This can add up fast. Plus, most graphic designers don’t understand the needs of marketers. 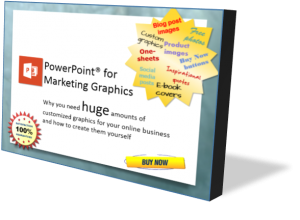 Using canned graphics: Your graphics need to speak to your target market, so they need to be customized. They should also be branded for your business. So, what’s the solution? It’s called PowerPoint for Marketing Graphics! 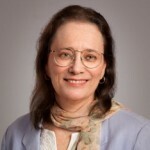 With 1-on-1 coaching/consulting, we focus on creating a clear, powerful, professional presentation that will meet your goals. Work closely with me on your presentation to maximize your message and graphics — and your impact. You’ll explain your goal and message and we’ll discuss how to organize and communicate it so you can reach and engage your audience. Then together, we’ll work on your slides, using webinar software that gives us both control over the PowerPoint software. As we makeover your slides, I’ll explain principles of design and specific PowerPoint techniques that you’ll be able to use when you create future presentations. By the end of these sessions, you will have gained valuable tools that you can use on your own. Get started now! Find out more here. How to make your website rock without spending a ridiculous amount of time and money. The sad fact is that most websites turn people off so that they simply go elsewhere. What that means to you is your online business doesn’t make you the money you need to support yourself and your family. You might even have to get a job in the corporate world! Fortunately, there’s a solution and it’s called Make Your Website Rock! In a recent webinar, I asked how many people had started their day reading email, clicked links to social media — and by the end of the day, that’s all they had done — email and social media. And 40% of the attendees said yes! It doesn’t have to be! Find out more here. You can be persuasive! Discover simple techniques based on solid research that everyone can learn! See great before-and-after examples that you can use as models. You’ll hear how one marketer used these techniques to increase his conversion rate from 50% to 70%. An e-book is one of the easiest ways to start making money online! 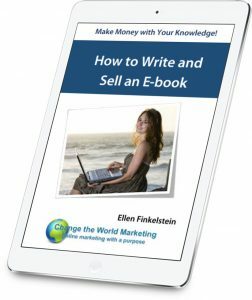 My e-book, How to Write and Sell an E-book shows you how! Get the 7 practical steps you need to know plus valuable marketing strategies that will take you from start to finish. This simple and easy-to-read guide clearly describes each step you need to take in 30 clearly-explained and proven activities to grow your list with people who want to buy from you. A massive, responsive list will transform your business! Challenge yourself to complete all the steps in this guide and grow your list. You’ll be glad you did. Presentations are key for the success of your business. 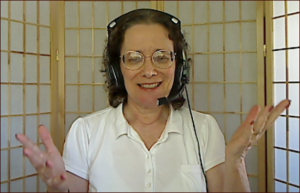 You should be speaking, whether live or via webinar, in order to sell your products and services. You need to create high-impact, professional-looking slides. But if you aren’t a designer, that can be a difficult task. In this e-book, you’ll learn easy principles and techniques that designers use. You don’t need advanced knowledge of PowerPoint, although that’s what I use. These concepts apply to all slides in any program. This e-book will show you, step-by-step, how to easily get the results you want. Plus bonus downloads: a theme, template, and sample slides! Rise to success as a speaker! You’ve probably heard some famous speeches by charismatic speakers— Winston Churchill, Martin Luther King, John F. Kennedy — and more. Did you wish you could speak like that? 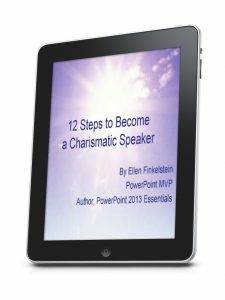 The qualities of a charismatic speaker are simple — and even obvious. Read about each one and get steps to grow in these qualities. Includes links to brief audios and videos to inspire you to get there! Over 50 pages! 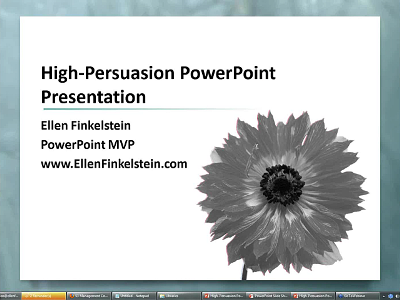 Discover the 3 mistakes most presenters make in their persuasive presentations. This book is about how to succeed with sales presentations, internal presentations—any time you need to persuade. If you’re a sales rep or a business manager recommending proposals, you’ll find this e-book an invaluable tool. 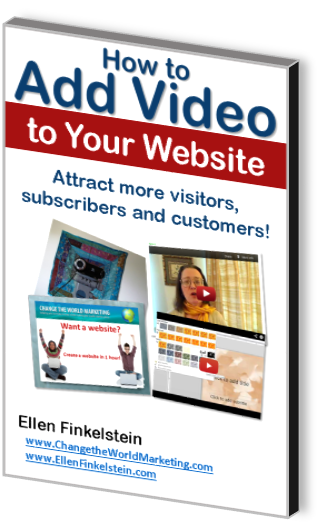 All the information you need to get started creating video today! I’ve been making thousands of dollars a year as an affiliate for several partners that I trust. Although I have my own products, having this extra income has been SO welcome! I’ve learned the ins and outs of affiliate marketing from both sides — I have affiliates who sell my products, too — and want to share this knowledge with you. Learn how to use affiliate marketing to make money! More opportunities to make more money! Sets you up for future success! 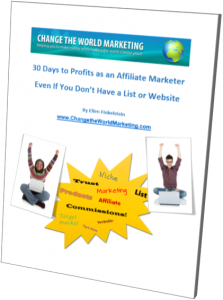 Did you know that you can earn money by becoming a Change the World Marketing affiliate? Find out more and sign up here!